Tattoos have been around since, well, forever. Even in Neolithic times we were changing the way our skin looks, whether as a kind of jewelry of royalty, lovers, the spiritual, and the criminal. Then, they generally served a tremendous, nearly ritualized purpose. Now, Mike Tyson&apos;s got a face tattoo and your mom might be thinking about getting ladybugs on her feet to symbolize her growing family. Tattoos have, as of 2012, become a $2 billion industry; there are more than 15,000 parlors in the country. Everybody (even our moms) wants to get a tattoo. So, what should we do? Well, in the words of Matthew Marcus, owner of New York&apos;s Three Kings Tattoo: educate yourself — and not by watching TV. Here are the things to do, and not do, when you finally join the swelling ranks of the tattooed. Educate yourself, but don&apos;t think you&apos;re smarter than your artist. This includes, to an extent, watching one of a million tattoo shows. "The television shows are great because people are educating themselves more and paying attention to the qualities a good tattoo should embody," Marcus says. "The problem is that people go off of the first thing they hear and sometimes educate themselves lazily. "I want to create a smarter customer who knows about strong lines and smooth shading. I don&apos;t expect you to understand art, design, layout, positioning, or light sources," Marcus says. "But if we can get people to understand when something is too small, or is going to fall apart, or what weak lines and shading look like, then, eventually, we&apos;ll force all of the bad tattoo artists out of business. Don&apos;t bring your kids to the shop. As commonplace as tattoos have become, tattoo shops aren&apos;t sterile, shopping mall environments. The Wiggles won&apos;t be playing on the radio, there are still people getting naked mermaids tattooed on their forearms, and, well, there are sharp needles everywhere. As Marcus puts it, "At the end of the day, it is still a tattoo shop." Not to mention, do you really want your kid playing peek-a-boo with an artist who is essentially scarring you for the rest of your life? Don&apos;t try to get tattooed drunk. Given the fact that tattoos are for life – eh, maybe – it&apos;s not the best idea to get inked while trashed. But Marcus says they don&apos;t tattoo people for a much simpler reason than the inevitable hangover regret: it makes your blood thinner, so the whole process is just a mess. "People being drunk just makes our job harder and the healing of your tattoo less effective." So, no, you can&apos;t cap off your bachelor party with a quick round of bro tattoos. At least not at any shop that cares about its customers. Tattoos might be as common as Granny Smiths, but parlors aren&apos;t farmer&apos;s markets. " I don&apos;t know anyone in the world who wants someone to come to their job and ask them to get paid less for the day for no good reason at all. Our prices are there for a reason and its because we know what goes into our work." If you want a tattoo, you&apos;ve probably put a lot of thought into it. That doesn&apos;t mean it&apos;ll make a great tattoo, though. "Once someone takes the step to walk through the door of a tattoo parlor, they are usually 95 percent sure on getting and having a tattoo," Marcus says. "The problem then is that sometimes their ideas on paper or in their minds aren&apos;t the best on skin. Things can be too small, not drawn correctly, colored with colors that may not work on their skin tone, go on a part of the body where tattoos fall apart easily. Simply put: If an artist has booked you for an appointment time, they have not booked someone else for that same appointment time. Moving your appointment at the last minute is wasting several hours of your artist&apos;s time, not to mention losing them several hundred dollars. If Marcus has revealed anything, it&apos;s that tattoo shops are like any other place. Aside from being the least kid-friendly places in an increasingly kid-friendly town, tattoo parlors are professional places, and tattoo artists are professionals. Don&apos;t let their tattoos (and your misguided preconceived notions) fool you: these artists deserve your respect. 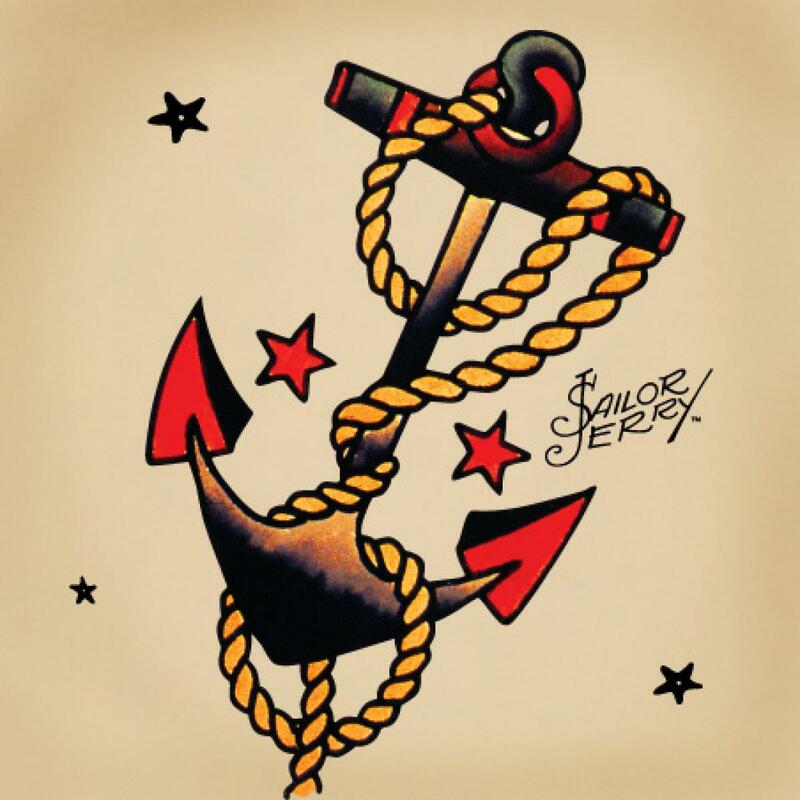 And, relax, because, while places like Three Kings offer lengthy consultations for extensive or elaborate tattooing, those of you who just want a cute Sailor Jerry anchor on your ankle can just walk right in.